We entered the SwimRun Breca - Bay of Islands (New Zealand) event. 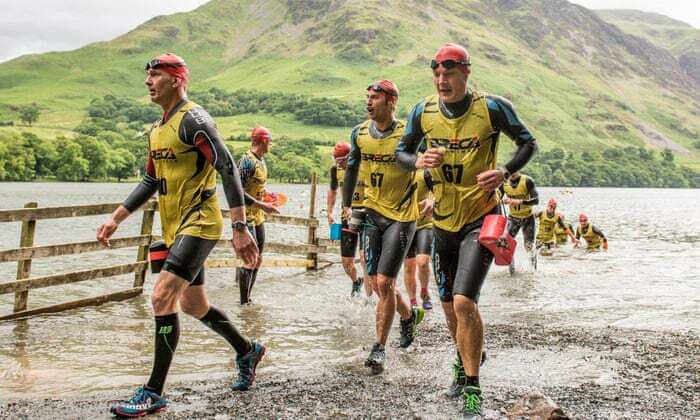 As new entrants to the world of SwimRun, we want to try different events around the world. We had only done 3 events beforehand, in Croatia, Switzerland and Italy. We wanted to branch out to New Zealand. We wanted to attend some of the events at the Commonwealth Games on the Gold Coast, Australia, in April 2018; Mogsy has relatives in New Zealand, and so it seemed the ideal opportunity to sign up for a swimrun race while we are "Down Under". 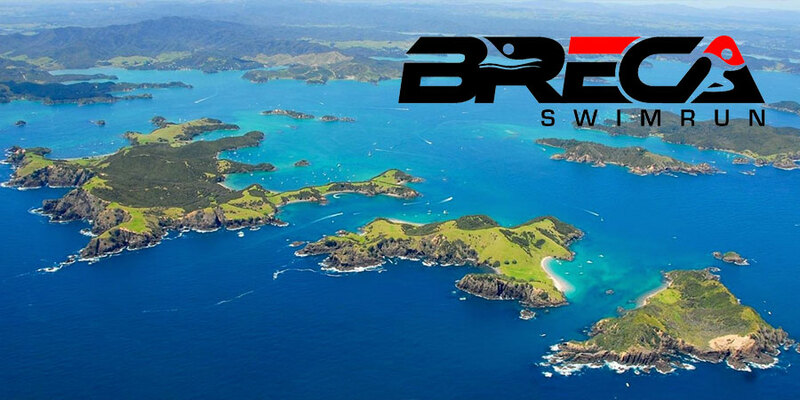 There are two swimrun events organized in New Zealand by the company Breca. One is in the South Island, (Breca Wanaka), and looks to be very tough, with cold waters and steep runs. There is 42km of running (equivalent to a full marathon), with a total of 8km of swimming. That makes 50km overall - a tough challenge! The Breca Swimrun Wanaka takes place on March 18th 2018. By contrast, the SwimRun Breca event in the Bay of Islands (not far from Auckland) in the North Island, looks to be a better match to our ability and experience. It was staged on 15th April 2018. The water is warmer, and the runs are not quite so challenging. And there is the awesome beauty of the Bay of Islands to experience during the race! One important qualification to this - one of the swim legs is a straight 3km. That's just ONE of the swims, and it occurs in the first half of the race. The distance is about 33 km, made up of 25km of running and 8.4km of swimming, and as I've just mentioned, includes one swim of a straight 3km (almost 2 miles), so competitors will definitely have to get some serious training in before heading South! There are finisher's T-shirts and finisher's medals, so there is a little recognition for spending 6 hours running and swimming. Of course, more experienced and younger teams will complete the course in much less time; as newcomers to the sport of swimrun, and with a combined age of over 110 years (cough), we would always expect to be following the main body of competitors, but we seem to be able to get ourselves ahead of the final cut-off times!! Getting there; the nearest international airport is Auckland. Then you need to hire a car and drive 3 hours north to the Bay of Islands. Best town to stay in is Pahia. There is a lot of accommodation available in the area through AirBnB.